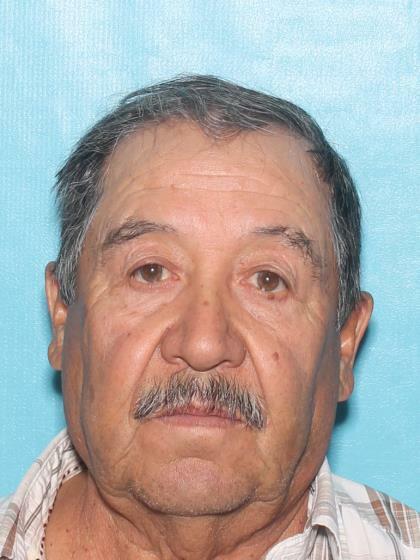 On 9/17/18 at approximately 2:00 P.M. 72 year old Manuel Hernandez was last seen in the area of 3900 West Thomas Road in Phoenix, Arizona. He was driving a black 2014 Chevrolet Silverado truck with Arizona license plate CGW6383. Manuel suffers from a medical condition that may make him appear confused or disoriented. He is missing the tips of several fingers on his right hand. He only speaks Spanish. He was last seen wearing a gray long-sleeved button-up shirt, blue jeans, black boots, and a blue baseball hat. Last seen wearing gray long-sleeved button up shirt, blue jeans, black boots, and a blue baseball hat.